This entry was tagged Digital Science and Security, Environmental Engineering, Public Health, Shared Vision, Strategic Plan. Bookmark the permalink. I recently visited the IUP campus as part of the College of Humanities and Social Sciences advancement team. It was great to be back, hear about developments, and see the beautiful new HSS building. While there is growth in areas like science, health, and engineering, I am concerned about a declining enrollment in the HSS college. This is not attributable to the faculty and staff; they are excellent. I believe it’s a overall decline in valuing the importance of the Humanities and Social Sciences generally. I have been thinking constantly about what it would take to reverse this trend–for example, how could IUP differentiate itself from the many other HSS programs at other colleges and universities… special programs, summer institutes etc. Or could IUP capitalize on its “first generation college student” appeal? I don’t have any answers to this, but IUP is too important not to be thought about. Thanks for your thoughtful comment. 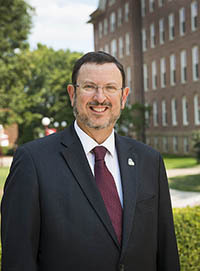 It provides the opportunity to tell you that for the next edition of IUP Magazine, to be distributed in December, President Driscoll has prepared a commentary on the importance of the humanities and social sciences. When you attend your next advancement council meeting, please raise your concerns with your peers and colleagues. This morning, I came across this article, which raises ethical questions surrounding driverless vehicles. Clearly, our technologically advanced world has plenty of need for those who can connect cause with effect and who have critical thinking and reasoning skills. Looking forward to meeting you at your spring meeting.